GlobalFoundries, the company spun-off from fiscally troubled AMD's manufacturing division, has announced that it has successfully built the first of its former owner's parts on a 14nm FinFET node. 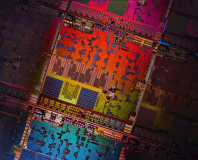 AMD uses GlobalFoundries for its silicon manufacturing thanks to agreements put in place when it was originally spun off and AMD transitioned to a fabless semiconductor operation. Its parts, though, have consistently lagged behind those manufactured by Intel at its first-party fabs, and AMD still uses a 28nm process for its products while Intel leads with a 14nm process for its mainstream processors. 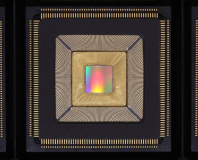 That, however, is changing, with GlobalFoundries announcing that it has succesfully taped out multiple AMD components on its 14nm Low Power Plus (14LPP) process node, which includes three-dimensional FinFET transistors similar in concept to Intel's Tri-Gate Transistor technology. GlobalFoundries has indicated that it will ramp its 14LPP process node during the last quarter of this year with a view to volume production in 2016. AMD has not, however, indicated which of its products will launch with the process, beyond Papermaster's vague promise of a rollout across multiple product lines before the end of 2016. Sets it back more than $335 million.